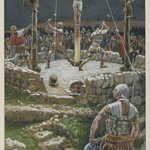 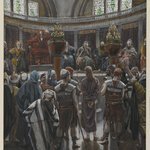 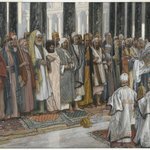 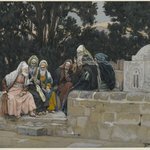 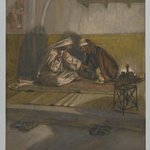 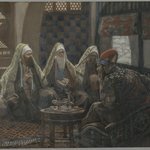 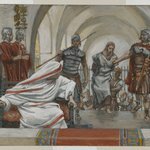 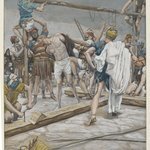 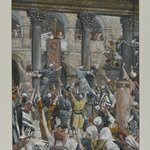 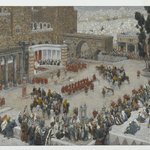 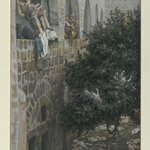 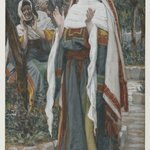 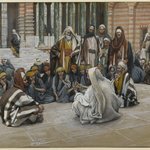 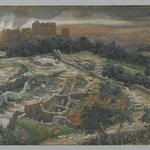 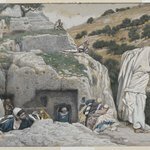 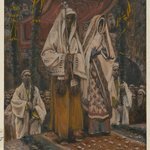 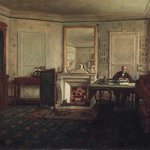 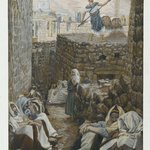 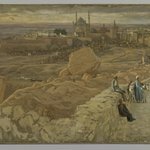 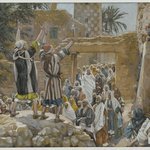 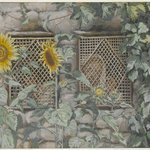 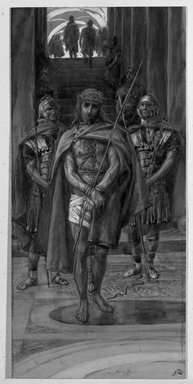 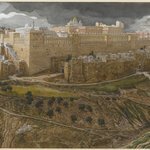 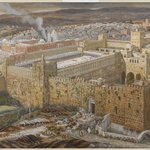 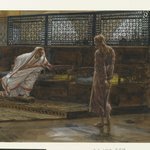 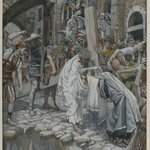 Following his presentation to the crowds from the loggia, Jesus is taken from Pilate’s palace—at half past eleven in the morning, Tissot precisely notes—to the public square where he will be officially condemned to death. 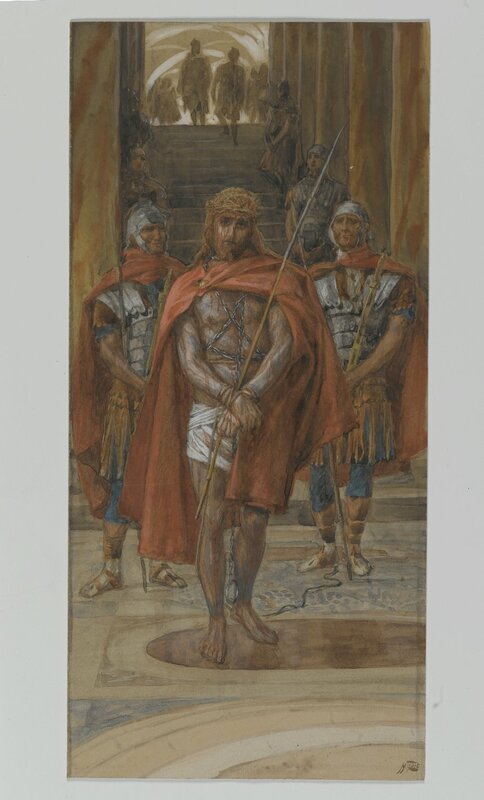 Made a figure of mockery, Jesus is forced to wear the crown of thorns as well as the short scarlet cloak and carries a reed, meant to evoke a royal scepter. 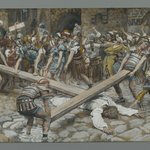 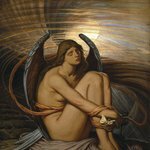 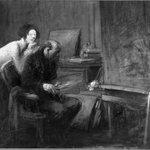 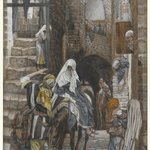 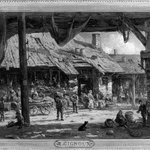 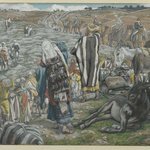 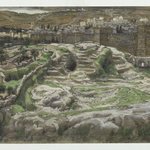 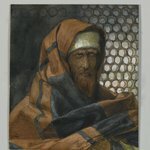 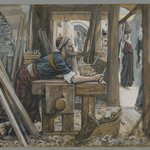 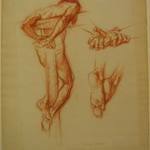 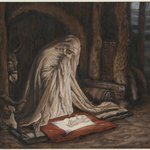 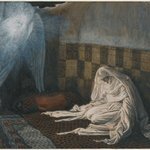 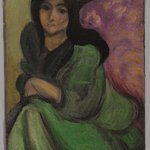 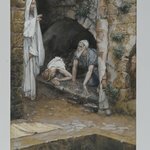 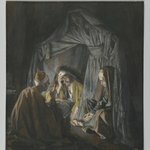 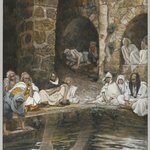 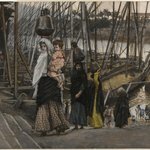 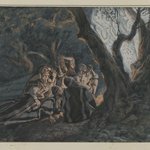 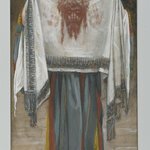 Focusing on the injuries suffered by Jesus, Tissot also notes that, at every step, the woolen cloak would have either rubbed his wounds or stuck to them. 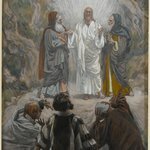 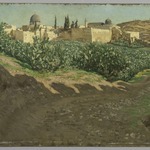 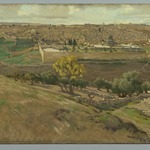 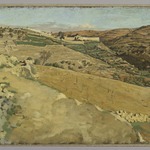 Although Tissot’s images are ordinarily opaquely, or thickly, painted and filled with a multitude of minute details, here he varies his technique noticeably in the rendering of the backlit figures at the top of the steps. 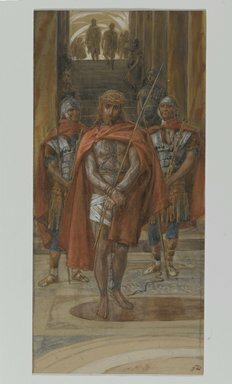 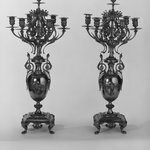 These figures are summarily painted in washes so thin that the steps are visible through the leg of the man standing near the top of the staircase.